Fames Dakota's bloodlines go back through several generations of outstanding show/halter Arabians - Including some of the Worlds most famous Arabians - Fames VF, Parys El Jamaal and Ali Jamaal who in his day won many National Championships throughout the US along with siring 31 National winners and countless International Winners. 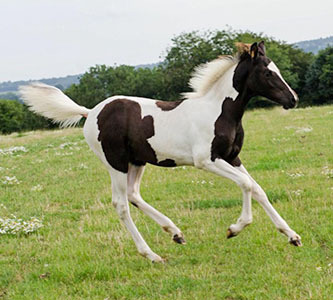 Sire: Fames Dakota sire Dakota Ink Spots was imported from the US as a 3 year old, he was one of the first Pintabians to ever be bred and one of the first to ever come to the UK, he has some lovely lines including halter, western and ridden Champions throughout his bloodlines, he has since sired many beautiful foals in the UK, all starting under saddle now and doing well in their in hand careers. 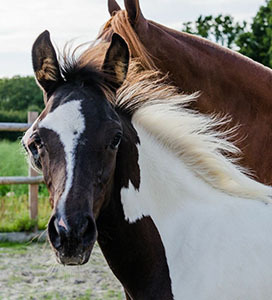 Dam: MS Fames Jubilee, a beautiful Purebred Arabian mare who was also imported from the US, she has world class bloodlines on both sides of her pedigree and has bred some fantastic foals since being here. Fames Dakota takes on a lot of his dams temperament and look. 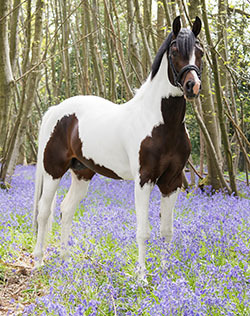 Damsire: Parys El Jamaal, an incredible halter stallion in the US, he is the sire of many champions on three continents, his pedigree is very sought after in the Arabian World, passing of his beautiful Arabian conformation to all his offspring. He has progeny all over the world competing in all disciplines. 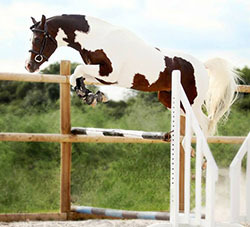 Fames Dakota is a fantastic young stallion with a lovely easy temperament. He loves working under saddle and is proving very willing in the few months he had been ridden. 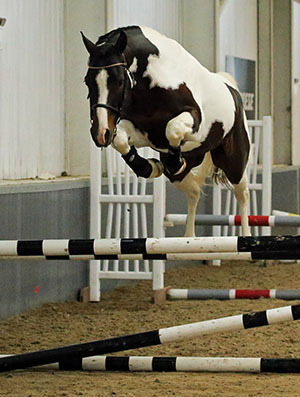 As a yearling Fames Dakota was awarded a Higher First Premium at the BEF Futurity Evaluations, as well as being awarded a certificate of Merit for being the highest scoring yearling in his section. 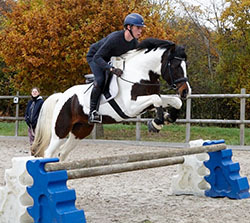 In 2013 he went back and gained a First Premium in the Sports Pony Eventing section. 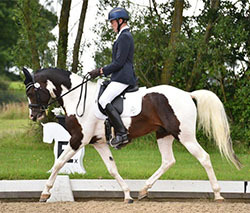 He has competed throughout the UK in hand at County and National level with many successes and Championships, including becoming British National Champion Sports Arabian in 2014. 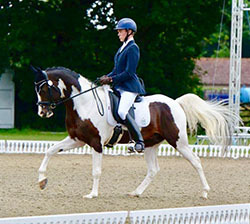 Fames Dakota competed at British Dressage (BD) throughout 2016, his first season under saddle, and he qualified for the 2016 BD Regional Championships at Hickstead. 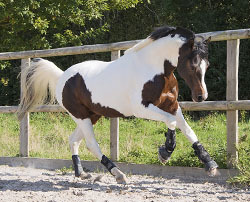 Fames Dakota achieved Premium Performance Status with The Arab Horse Society in 2017, and he is one of the youngest Stallions to be awarded this status with AHS. 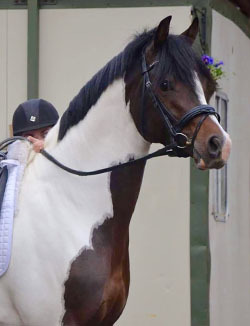 Fames Dakota is currently competing in British Dressage. He won the BD Novice Arab Championship with Alex Mersh in 2017, scoring over 70% in his Novice tests with a personal best of over 77%! He is working at Medium at home with established changes aiming to be competing Medium & working Advanced Medium towards the end of 2018. 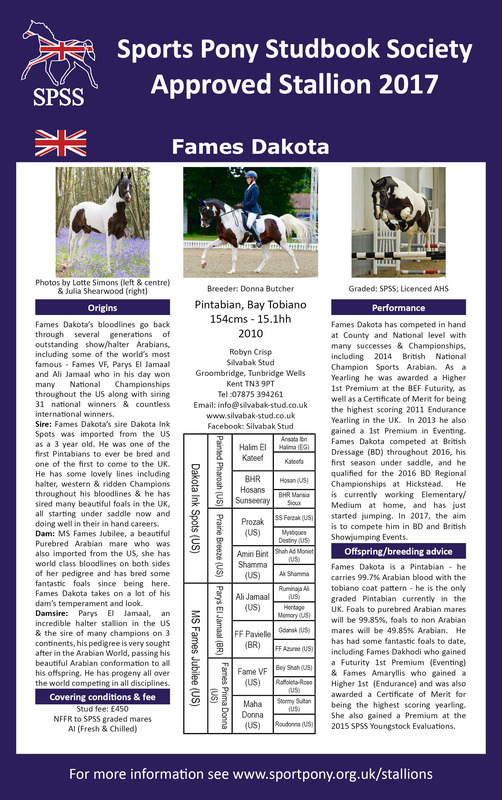 Fames Dakota is a Pintabian - he carries 99.7% Arabian blood with the tobiano coat pattern - he is the only graded Pintabian currently in the UK. 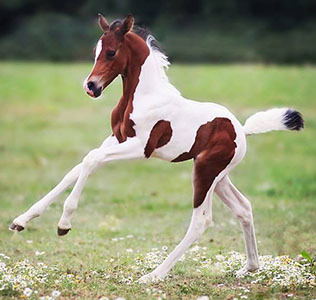 Foals to purebred Arabian mares will be 99.85%, foals to non Arabian mares will be 49.85% Arabian. 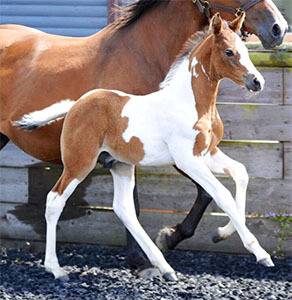 Fames Dakota has had some fantastic foals to date (see below), including Fames Dakhodi (74.85% Arab) who gained a First Premium in the Sports Pony Eventing Section at the BEF Futurity, and Fames Amaryllis (99.85% Arab) who gained a Higher First in the Endurance section at the BEF and also was awarded a Certificate of Merit for being the highest scoring yearling. She also gained a Premium at the 2015 SPSS Youngstock Evaluations. 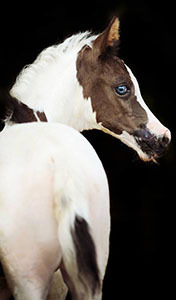 Fames Blubilli - 2013 - 49.85% Arabian Sports Pony Filly out of Morning Shadow. Fames Avichi - 2013 - 99.85% Pintabian Gelding out of Waywood Echo . Awarded a First Premium in Endurance at BEF Futurity. 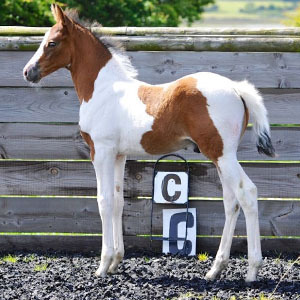 Fames Amaryliss - 2014 - 99.85% Pintabian Filly out of MW Divine Grace. 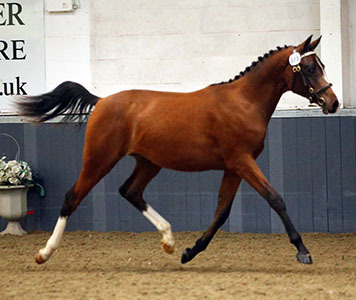 Awarded Higher First Premium in Endurance at BEF Futurity, with an Award of Merit for being the highest Scoring Endurance Yearling 2015. Camlough Night Fever - 2016 - 49.85% Arabian Sports Horse gelding out of Astra. 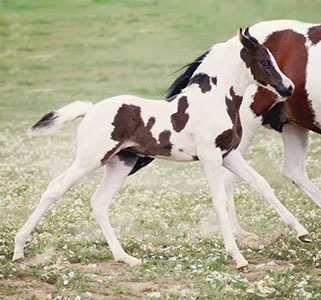 Photos by Horse Power Creative. Fames Dakhodi - 2014 - 74.85% Arabian gelding out of Cullinghurst Last Star . 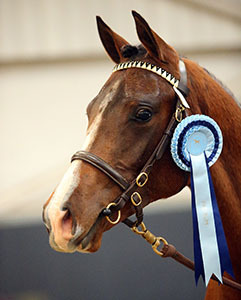 Awarded a First Premium in Eventing at BEF Futurity.